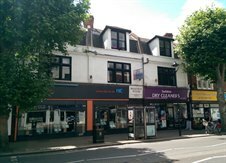 Cattaneo Commercial are pleased to announce the letting of the York Suite, Meadway House, 17-21 Brighton Road, Surbiton, Surrey KT6 5LR. The suite comprises a self-contained office of approximately 500 sq ft and will form the new Regional Office for Toni Cressey Mortgage Advisors. If you have a requirement or are considering disposing of premises, please contact either Andrew Armiger or David Keates on 020 8546 2166.